You don't need to fear the agency cutting off the water supply to your house for not paying the bills because we got your back. 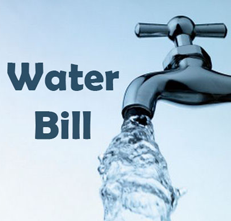 Customers can easily pay their respective water bills on our site. Reminders can be set to alert the customer to pay the bill. The customer can pay the amount through any of his preferred means through a secured process. None of the information furnished by the customer gets leaked to anywhere and remains secure with us. The latest technology that we use ensures fast and easy payment of the bills. Flush out the bill payment tension from your minds, sit back and log on to our site.